It's done! In fact, it was ready within 1.5 weeks after g'son Nicholas left on Friday the 31st. You know what they say--money talks. I was able to save $75 by pressing the ORDER button by this past Wednesday. YAY. Here it is: it's a 12x12-inch book of 74 pages. It is now also on my sidebar. It really was a series of very fortunate events! 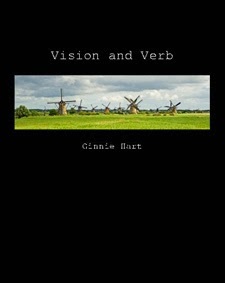 I just found the correct embed link, Maria, so you should now be able to view the book. Thanks for the heads-up. You did a tremendous job to get this book ready 'in time'. What a beautiful gift to Nicholas, now he has the pictures with the grand memory he will have of this trip. A birthday gift from you to the both of you. Nicholas is a lucky boy to have such a Grandma..... IHVJ. Thank you, MLMA. You were the biggest fan club all along the way, even encouraging Nicholas to keep smiling for the gazillion pics G'ma took. We'll never forget it. Ok...totally crying here...for so many reasons. This is absolutely BEAUTIFUL Ginnie. You have to be so proud. Loved, loved, loved the writings...and yours at the end. The best gift ever for the both of you. So very very special. It's good to get your "reaction" to this book, Robin, because I only "see" it through my own eyes (and Astrid's, of course). It helps to know how others "feel" it. Thank you! This is wonderful....and what a special present you both will always have! Thank you, Donna. 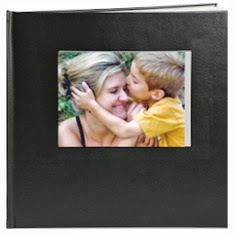 I totally agree about how wonderful it is we can make memory books to have and to hold for time to come! I will view this at the office since we are on limited bandwidth here at home today. I can't wait!! Is this just on the internet or do you make a printed copy? Not just on the internet but a real hard copy, yes, Sham! In fact, it should arrive at Nicholas' house today or tomorrow! The hard-copy book arrived yesterday (Tuesday) and Nicholas LOVES it. So, I'm a very happy camper. Thank you, MW! The photos are gorgeous!! Makes me long to visit that part of the world Sigh.I can see how much work went into this labor of love. Thank you, MW. I could make photo books the rest of my life and be in heaven. HA! I get so much pleasure and satisfaction out of making them. 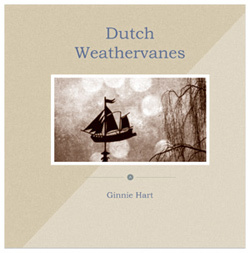 One of these days I'll do a book on Dutch weathervanes. HA! 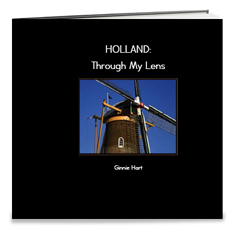 Catching up again – you are so lucky to live in Holland where you are so close to other countries, like England. You had a great time there as shown on your photos. Nicholas has sure grown a lot – he was a little boy when I saw him and not he is a young man. I looked at your book- such beautiful photos with the important text so as not to forget all the neat places you visited and the restaurants. 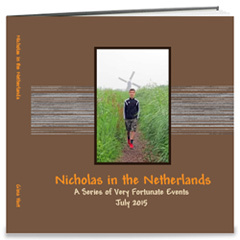 You did such a thorough job – Nicholas will keep this book as a pure treasure. I was also with my two eldest grandsons for two weeks in California, but they were in school all day studying Chinese, so we did not do too much but still tried to enjoy the week-end. Your grandsons will grow just as quickly as Nicholas has, Vagabonde, before your very eyes, and you won't believe it, especially when you are apart from them, as I am from Nicholas! And maybe one day you will make your own book for them?! It gave me so much pleasure! 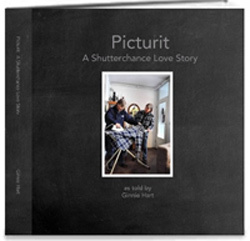 The photo book has arrived and Nicholas and I went through it, page by page, last night. What a wonderful treat! Great photos (as always) accompanied by the written detail from each day. I was surprised to see the images from Nicholas' journal that he wrote in each day -- another nice touch, making it that much more personal. He loved walking me through each day, answering questions. The comment most repeated was how good the meals were, including Astrid's macaroni dish! :-) Thank you again, Mom, for taking the time to document this special trip. Truly a keepsake that we all will continue to cherish! There's nothing like a real book you can hold in your hands, Amy, and I can hardly wait to see it myself. I'm so glad you both went over it together, page by page, so that he could add his own commentary. And, yes, I'm also glad he was willing to write the daily journal entries for each day, because it felt so much more personal. It's a gift that keeps on giving, isn't it! It looks terrific. A keepsake he will treasure forever! Thank you, Ted. So he says!